It's Christmas — and it's all good news! Just in time to play Santy, FindMyPast.ie has announced a discount of 10% on all subscription purchased at any point from today until the end of the festive celebrations. The intention is to allow more researchers access to the nearly 10 million records held on the site and to launch Start Your Family Tree Week with a seasonal hurrah, even though it doesn't officially begin until the 26th. Each day from St. Stephen's day to New Year's Day, FMP.ie will be giving out hints and tips to help new researchers make early progress with their Irish genealogy. They will be delivering charts, interview guides and plenty of advice to help you along the way. There will also be festive challenges and spot prizes via facebook, Google+ and Twitter. The discount will be valid until 2nd January. 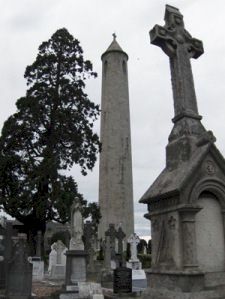 Glasnevin Museum, which won the international THEA award for Themed Entertainment in March (the first cemetery to do so), has been nominated for the 2012 European Museum Award. The Museum is run by Glasnevin Trust, which last month won CIGO's 2012 Award for Excellence in Genealogy (you can read the story here). Here's wishing them good luck for a hat-trick. The long awaited free church records from Co Monaghan, which were due to appear on www.irishgenealogy.ie in October, are still in the pipe, according to the Department of Arts, Heritage and Gaeltacht. After a couple of dashed hopes for upload earlier in the year, the Monaghan collection did not appear with the last batch of new records (for Dublin and Cork) two months ago. Ominously, there was no mention of them either. 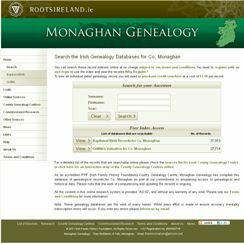 When RootsIreland subsequently added Monaghan records to its pay-to-view site, many researchers were concerned that the project to deliver them free had been shelved. The deafening silence from IrishGenealogy.ie on the matter reinforced this opinion. So, the news that the records will be online and free in 'early 2012' is very welcome. Even if the 'early' bit should probably be taken with a pinch of salt! As it's Christmas, I hope you'll forgive me a little indulgence. I wanted to announce that the first of a series of guest articles by yours truly is now live on the Certificate of Irish Heritage website. This first one deals with locating the townland of your ancestors, something that often proves the greatest obstacle to the descendants of Irish emigrants. There are more articles waiting in the wings about the Irish census, Griffiths Valuation etc, and they'll be appearing in the New Year. Okay, that's my personal promotion over with for the year, and this is probably the last you'll hear from me till after Christmas. Have a great time, all of you. I'll be back with a review of the year next week. The goose may be getting fat but the hardworking folk at Ireland Genealogy Project Archives haven't slackened in the month so far. Maybe they'll take a well-deserved little rest over the next couple of weeks. I've finally given in and accepted that Christmas is coming. Can't say I'm yet in full festive mood — that will come when I get the decorations up this weekend — but with December ticking away, it is time to start considering some genealogy-focussed gifts. Subscription to FindMyPast.ie: Why not treat your much loved family historian to a subscription to Ireland's very own specialist database provider? Come to that, why not treat yourself?! The website carries hundreds of thousands of records that you won't find on any other online service. There's a wide spread of options to suit your bank balance. An annual subscription comes in at €59.95 while the 6-month alternative costs €37.95. There are also two Pay-as-you-go options: 300 credits for €24.95 or 100 credits for €9.95. Eneclann has some great stocking filler cd-roms and books for under €15. Those that caught my eye were The Agricultural Labourer, which comes in four parts (1894), each costing €9.86, William Carleton's Traits and Stories of the Irish Peasantry, 1853, at the same price, and Deserted Children (Dublin) (1854) for €4.48. Or what about a gift subscription to History Ireland? I may have mentioned how much I love this magazine once or twice before. I ought to be on commission (I'm not, by the way.) It's a great read, with authoritative but readable features, news, reviews and lots more. I relish its arrival every two months. A one-year sub to an address in Ireland or Northern Ireland is €33.50, a bit more for overseas. www.historyireland.com. 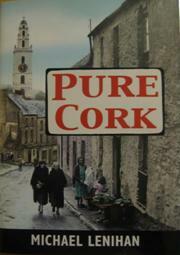 Pure Cork: This wonderful book of 350 images will be enthusiastically received by anyone with Cork heritage. The author, Michael Lenihan, has been collecting old photos and postcards for several decades and he's brought the best together in this collection of streetscapes, people, shawlies, ships, trams, horse-drawn carts, churches and even advertising boards and theatre tickets. Launched last month, Pure Cork is available from good bookshops but there's probably still time (just!) to get a signed copy by contacting the author at mlenihan13 at yahoo dot com. €25 Hardback. ISBN 978 1 85635 882 8. Published by Mercier Press. 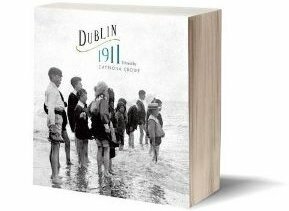 Dublin 1911: For those outside the Republic of Cork, perhaps Catriona Crowe's Dublin 1911 is a more suitable book choice. Actually, it would sit very comfortably on any coffee table or bookcase anywhere — in Ireland, or overseas — not just because it's about the capital city, but because it reflects the society of all Ireland at that time. At €40, it's hardly a stocking filler, but it's a quality publication, through and through. Launched by Jimmy Deenihan, TD., Minister for the Arts, Heritage and the Gaeltacht, no less, the Irish Times described it as a 'triumph of book production'. Published by the Royal Irish Academy, this is a book that will earn its keep over and over. Ancestry's Family Tree Maker 2012: I've been using Family Tree Maker for more years than I care to remember. My year-dot version does what it says on the tin and plenty more, and I didn't particularly feel that I needed an upgrade. Until I visited my genealogy pal, Marla, that is. With a significant birthday just last month, her caring husband bought her the 2012 Platinum version, and she wanted to show it off to me (or make me green with envy... she's a bit like that sometimes). It's fantastic. Plain and simple. And it does things you just never knew you wanted to do! Like the improved editing options, which they call Smart Stories. And the new Tree Sync feature, which automatically updates your tree on Ancestry when you update the one on your desktop. (I don't have a tree on ancestry, but Marla does and this facility is going to save her hours.) It's also got lots of new good-looking charts, new ways of presenting trees and, at last, this software recognises the 'modern' family, complete with step-children, adoptions etc. The Platinum version comes with a 6-month Premium membership (UK and Ireland collections) of Ancestry while the World version comes with a 6-month World membership. And finally, two little gems to bring a smile to the face of your best loved genealogist. The Family and Local History Quiz Book and Dead End Hobby have been compiled by Mick Southwick of Bi-Gen Blog fame. The Quiz book includes around 700 facts organised into 39 individual quizzes. The questions mainly relate to family and social history in the UK but there are also some specialised options that relate to Irish genealogy, Latin, Heraldry, Occupations etc. Quite apart from testing one's own brilliance and mastery of the hobby, I can see this being extremely useful to family history societies for fundraising events. At just £4.90 (UK), £5.90 (ROI), inc p&p, even the most parsimonious santa will be happy to pop this into a stocking. Same goes for Dead End Hobby, a 72-pager that describes itself as a collection of oddments from the world of family history. Mick has gathered together quotes, illustrations, newspaper stories, obituaries, last wishes, strange deaths, parish register annotatations and all manner of curious, amusing and poignant tales from the UK and Ireland. It's quirky. It's charming. And it's only £5/£6. Early Closing Wednesday 14 December. A carol concert will be held at the National Library at 8pm (everyone welcome!) so the Main Reading Room will close earlier than normal at 7pm. The Manuscripts Reading Room will remain open until 7.45pm as usual. The Reading Room and Genealogy Service will close at 4.45pm on Friday 23 December and re-open at 9.30am on Tuesday 3 January. The Reading Room will close at 12.30pm on Friday 23 December until 10.00am on Wednesday 28 December. It will then operate normal hours until 4pm on Friday 30 December. It will be closed on Monday 2 January 2012, re-opening at 10am on Tuesday 3 January. PRONI will close at 4.45pm on Friday 23 December and remain closed until 9am on Thursday 29 December (late night until 8.45pm). It will also be open on Friday for normal hours of 9am to 4.45pm. Closed on Monday 2 January, it will re-open at 9am on Tuesday 3 January. Early closing on Friday 16 December. The Library will close at 1pm. The Library will close for the Christmas break at 5pm on Friday 23 December and remain closed until 9.30am on Tuesday 3 January. Relatively little has been written about the Quakers’ industrial activities in Ireland, yet they were instrumental in creating some of the country’s largest manufacturing businesses, including many with their origins in the Midlands. Now Michael Goodbody, a member of one of those well-known and long-established Quaker families, has written a book that examines their role. His book, The Goodbodys – Millers, Merchants and Manufacturers – The Story of an Irish Quaker Family 1630-1950, is more than just a family history. It also looks at the role the Quakers played in the Irish economy. It includes photographs dating back to the late 1800s and paintings and illustrations from even earlier. The book follows the fortunes of the family from the time of their arrival in Ireland and conversion to Quakerism, through the ‘quiet’ years, when they were farmers, merchants and tanners, until 1825, when Robert Goodbody moved to Clara to start milling flour. He and his five sons, who were connected by marriage to some of the leading merchants and manufacturers of the day, used their increasing wealth to alleviate distress during the Famine years and then developed their business interests in Tullamore and Clara. The Goodbodys were among the first Quaker families to settle in Mountmellick, one of the principal Quaker communities in Ireland at the time, and they remained there for eight generations. The book is available through Offaly Historical and Archaeological Society (info@offalyhistory.com), www.ashfieldpress.ie, and good local bookshops. 539 pages. €40. More about the Quakers in Ireland. Three snips of news from Find My Past.co.uk today. First up, the database provider is offering a 10% discount on all co.uk subscriptions. Although the company's blurb refers to this as a Christmas discount, I can't find an end date for the promotion, so I'd suggest you just get on with it if you intend to take advantage of the offer. To claim the discount, you simply type in the promotional code SUB10 when you subscribe. Worth noting also that the 1861 Scottish census, which contains more than 3 million records, has just joined those for 1841 and 1851 on the site. Images of the original Scottish census returns are not available (due to licensing regulations) but the transcriptions have been overhauled to ensure they are of the highest quality. And finally, a couple of Christmas gift voucher ideas. Choose from a stocking filler £5 voucher (40 credits, valid for 90 days) to a very worthwhile £35 voucher (full subscription for three months). The 3-month option is available only via a voucher. Full details on FindMyPast's News pages. IGP Archives has been updated with the following records in the last two weeks. 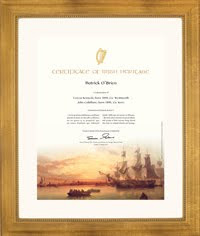 Glasnevin Trust has received CIGO's 2011 Award for Excellence in Genealogy. At a ceremony earlier this evening, the award was presented by Jimmy Deenihan, T.D., Minister for Arts, Heritage and the Gaeltacht Affairs, to the Trust's chairman John Green. The honour recognises the Trust's contribution to the study of Irish genealogy through the creation and development of its database of all 1.5 million burials in the Glasnevin Trust cemeteries: Glasnevin (Prospect), Dardistown, Goldenbridge, Newlands Cross and Palmerstown, plus two crematoria. These burial records date from as early as 1828 and, with access to the scanned images of the original burial registers also now online, access to this vital genealogical information is unparalleled in Ireland. The project has taken almost 20 years of development. The result of the Trust’s commitment to this mammoth project has set an extremely high standard for data provision and one which will no doubt be an active encouragement for other cemetery authorities to emulate worldwide. Steven Smyrl, chairman of CIGO’s Award Committee, commended Glasnevin Trust for its commitment to creating the burials database and for making their 1.5 million entries available to millions worldwide through the Internet. The Council for Irish Genealogical Organisations is an umbrella group, formed in 1992, representing the genealogical community within Ireland and worldwide. It represents almost all of Ireland’s societies and organisations involved in genealogical research as well as a number of others based across the English-speaking world. Previous recipients of the Award include Dublin City Library & Archives in 2007 for its database of Dublin City electoral rolls and The National Archives of Ireland in 2010 for its digitisation of the 1901 and 1911 Irish Census. Image of the first registered burial in Glasnevin Cemetery: 11-year-old Michael Carey of Francis Street, Dubliln, who died on 22 February 1832. Find out more about Glasnevin Cemetery. All month: Exploring Your Roots Exhibition looking at how museums provide unique resources for genealogy research. Mid-Antrim Museum, The Braid, Ballymena. Free. Thursday 1 December: Introducing DIPPAM, with Dr Paddy Fitzgerald, a workshop to discover this online resource for Irish history and emigration research. Ballymena Central Library, Pat's Brae. 6.30pm-8.30pm. Free. Thursday 1 December: Genealogy workshop. Aimed at beginners. 12:50-14:15. Irish Ancestry Research Centre (IARC), Tierney Building, University of Limerick. €20. Booking essential at genealogyworkshops@gmail.com. Tuesday 6 December: Family history for beginners, with North of Ireland Family History Society. Downpatrick library. 6.45-7.45pm. Free. Booking essential at 028 4461 1448 or the Heritage Gallery. Tuesday 6 December: Ballymena Family History Society, presentation and workshop with Brian O'Hara. Mid-Antrim Museum, The Braid, Ballymena. 7-8pm. Free. Wednesday 7 to Friday 9 December: National Archives of Ireland Reading Room closed for annual media preview. Reopens on Monday 12th at 10am. Wednesday 7 December: Kilmainham Jail, with Theresa Buckley. Rathmichael Historical Society. Rathmichael School, Stonebridge Road, Shankill. 8pm. Thursday 8 December: Genealogy workshop. Aimed at beginners. Irish Ancestry Research Centre (IARC), Tierney Building, University of Limerick. 12:50-14:15pm and 18:30-20:30pm. €20. Booking essential at genealogyworkshops@gmail.com. Monday 12 December: Medieval Clonfert: the genesis, development and decline of a Gaelic cathedral settlement, with Christy Cunniffe. Galway Archaeological & Historical Society. Harbour Hotel, the Docks, Galway. 8pm. Tuesday 13th December: National Library of Ireland, Recent Developments and Future Plans, with Katherine McSherry. Genealogical Society of Ireland. Dún Laoghaire College of Further Education, Cumberland Street. €3 admission. Wednesday 14 December: Nora Connolly thoroughly researches female characters, fictional and actual, and tells their stories, dressed in the appropriate costume. Literally a step back in history to the times of her characters presented with humour and sensitivity. Malahide Historical Society Presbyterian Church Hall on Dublin Road at 8 pm. A €4 admission charge applies. Non members most welcome. Limited parking available. Wednesday 14 December: The 1901 & 1911 census - what can I learn from them? with Paul Haslam. Newbuildings and District Archaeological and Historical Society. Community Centre, Newbuildings. 7.30pm. Wednesday 14 December: Industrial Heritage of Meath 1730-1930, with Antoine Giacometti. Meath Archaeological and Historical Society. Columbanus Hall, Canon Row, Navan at 8pm. Details: 046-9052236. The British Newspaper Archive has launched today with more than 3million pages available to view. Subscription packages include a 2-day pass for £6.95 and a 30-day pass at £29.95. Unlimited annual access is £79.95. In this initial tranche of searchable papers, there are three from Ireland: the Cork Examiner (1841-1846), Freeman's Journal (1820-1900), and Belfast Newsletter (1828-1900). But Irish News, and reports of Irish people living in England, Scotland and Wales, also appeared in many other British papers. Today's launch marks the first phase of a 10-year project to digitise 40million pages of newspapers. Industrial action by members of NIPSA is scheduled for Wednesday 30 November in Northern Ireland. PRONI has announced that there will be no document production on that day and there may be other disruption to services. The lunchtime lecture programme at the Linenhall Library has also been hit. The talk 'Conflict Archive on the Internet' by Dr Brendan Lynn, University of Ulster, has been pulled forward to tomorrow (29th). All other details remain unchanged. The 5th Annual CIGO Award for Excellence in Genealogy will be presented by Jimmy Deenihan, T.D., Minister for Arts, Heritage and the Gaeltacht, in the Ascot Suite, Alexander Hotel, Fenian Street, Dublin 2 on Wednesday evening at 6pm. The presentation will be followed by the CIGO AGM and a lecture entitled 'Glasnevin Trust - Preserving the past for future generations' by Mervyn Colville. With a raffle and bar, and free admission, everyone's welcome! The Council for Irish Genealogical Organisations (CIGO) is an umbrella group representing the genealogical community within Ireland and worldwide. It was formed in 1992. It represents almost all of Ireland’s societies and organisations involved in genealogical research as well as a number of others based across the English-speaking world. It's always good to hear that plans to provide new resources have not been quietly shelved while we weren't looking, even if that provision is still some way off in practice. So, it was pleasing to read this week that the digitisation of the 1926 census, the first undertaken by the Irish Government, is still on the Government's 'wish list'. In a written response to questions from TDs Denis Naughten and Aengus Ó Snodaigh last week, Minister for Arts, Heritage and the Gaeltacht Deputy Jimmy Deenihan said that, 'subject to resources and the resolution of legal and other issues', it was his intention to have the 1926 census returns digistised and made available online as a 1916 centenary project. Okay, that's not exactly imminent, but I'm sure we can live with the delay. What concerns me more is that the plan seems to be stuck in the 'wish list' basket. Surely such a project needs to get underway much sooner than later if the returns are to be fully digitised and made available with images and any redactions demanded by the lawyers within little more than four years. The digitisation of the 1911 census took from December 2005 to August 2009. Let's hope the 1926 project gets the green light soon. Origins.net has introduced a special offer to celebrate Thanksgiving with a very cool 20% discount on new subscriptions! The Irish Origins collection includes some real gems: The Dublin City Census of 1851, Tithe Defaulters, Electoral Registers, Indexes of wills, Memorials of the Dead, Military records, Direcotries and maps. There is also Griffiths Valuation; although available free on other sites, this version is widely held to be the best. Another plus of the Origins subscription model is that you don't have to sign up for lengthy periods. Access can be booked for as little as 72-hours. To take advantage of this offer, just enter the code TG2011 in the Promotional box at registration or checkout. The 20% discount is available for just one week – from today until 1 December. It is valid only on the first subscription payment and cannot be used to renew existing subscriptions. Pure Cork book launch: Anyone with Cork ancestors will want this newly launched book on their Christmas list. 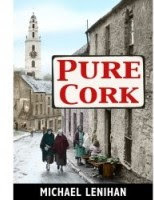 Pure Cork is a 350-image collection of advertisements, maps, sketches, postcards and photographs which tell the story of Cork's evolution over the last few hundred years. Michael Lenihan, author of the popular Hidden Cork, compiled the photos and memorabilia over many years and believes that about 95% of the photos have never been published before. It's on sale at Liam O’Shea’s Bookshop on Oliver Plunkett Street, Cork, where a display of some of the original photos are now on show, but also through Easons and several online booksellers. €25/hardback. 286 pages. National Archives of Ireland: Due to a formal occasion, the Reading Room of the National Archives will be closed on the afternoon of Wednesday 30 November. However, it will be open in the morning, starting half an hour earlier than normal, at 9:30am, before closing at 12:00 midday. It will reopen, at the more usual time of 10:00, on Thursday 1 December. Children in Irish workhouses: Here's an RTE podcast I chanced upon recently that you might be interested to download and listen to. Joseph Robbins tells the tale of young inmates of the workhouse in the 19th century, of the regulations they lived under, of their inefficient and ineffective education, and the difficult life they had to endure. It also tells of the forced emigration of many young workhouse girls. Spanish Inquisition records reveal 500 Irish people: At the Irish Genealogical Research Society's symposium last month, Dr Thomas O'Connor of NUI Maynooth made a fascinating presentation about his work in Madrid where he found that hundreds of Irish men and women had been brought before the Spanish Inquisition (1478 to 1834). A news story in today's Irish Times gives more details of his discoveries but adds that copies of the records he discovered will soon be made available to the public. 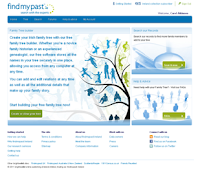 FindMyPast.ie has added a family tree builder on its site. I've just tried out the new software, and it's very easy to use, so even if you've struggled with tree builders on other sites, you might like to give this one a go. As you'd expect, the software allows you to add, edit, update and delete relations, and to add partners, parents and children. 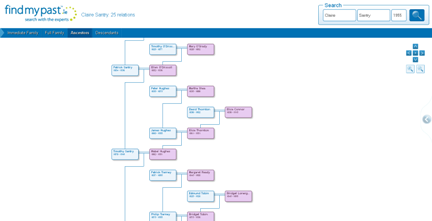 You can view your immediate family, ancestors, descendants or whole family tree (see the picture below) at the click of the mouse. In addition, you can upload photos and link them to your relations. The software allows you to search other member's family trees. But it also does some of the research work for you by automatically searching other members' trees AND the FindMyPast.ie historical records collections. I've tried similar sites in the past, but I particularly like this one because the interface is so uncluttered. Looks good to me. To try it out, go to FindMyPast.ie and select the Tree button. You need to register with the site (which requires only some basic personal details and a valid email) but can then start building. The Irish Genealogical Research Society (IGRS) is concerned that a so-called merger of the National Archives with the National Library could diminish vital heritage services. Steven Smyrl, IGRS chairman, says that while the IGRS recognises the need for savings across the board in Irish public services, it is concerned that with two bodies under one director, competition for resources could be fierce. Smyrl acknowledges that there are savings to be made through the pooling of public services resources. “Conservation and administration are just two such areas that immediately spring to mind, but while libraries and museums might appear to be similar they are actually very different service providers. “Staff trained in the care and control of archive materials require quite different skills to those working in a library and economies of scale will not be found by requiring flexibility from staff to work across borders in the proposed new set-up. It is crucial that specialist knowledge and training be recognised as essential in service delivery at national institutions. The historians, academics, researchers and genealogists using them rely heavily upon the staff’s expertise and knowledge. RootsIreland.ie has released more County Monaghan church records to its online pay-to-view database today. An extra 18,455 baptisms have been added, bringing the total to 50,368. Aghabog, Kileevan (Newbliss) and Tullycorbet (Ballybay) parishes are the newcomers to the RC options while Church of Ireland are represented by the parishes of Clones, Donagh and Ematris (St John's and Kilcrow). In addition, 15,293 marriage records are now available. These are all from RC parishes. Death/burial records for three parishes have also been added: Currin and Errigal Shanco (both C of I) and Tydavnet (RC). IrishGenealogy.ie, a rival site managed by the Department of Arts, Heritage and the Gaeltacht which makes church records available for free searching and viewing, was supposed to be releasing a set of Monaghan records earlier this year and has continued to promise these were 'in the pipe'. Alas, the free pipe appears to be blocked. Whether it's worth waiting for it to clear, or getting out the plastic on the RootsIreland site now, is a decision for the individual researcher. Irish Genealogy Toolkit/Irish Genealogy News is the Research Help partner of Ireland Genealogy Projects Archive. A proposal to introduce a Cork Passport was put to Cork City Council last night by Fine Gael councillor Laura McGonigle. According to her tweeted announcement immediately after the meeting, the proposal is to be progressed with a new genealogy centre in Shandon as part of the plan. The idea of the Passport, says Ms McGonigle, is to celebrate Corkonians' well-known and unique attachment and devotion to their county, and she tips her hat to the Certificate of Irish Heritage (see previous news post) as a great initiative; a Certificate of Cork Heritage would, she suggests, take this bonding a stage further. "For those of us born in Cork or with Cork heritage we know that this is something that should be celebrated. Cork people are known for coming home from other counties to buy their C reg cars, wearing their GAA jerseys on casual Fridays and logging into the People’s Republic Website daily." Throughout the day, reactions to her proposals were filling up Twitter and forums and blog comment boxes, and you could be forgiven for thinking that Ireland was suffering from a humour by-pass judging by some of the comments. By mid-evening, before the post-meeting announcement was made, a poll on breakingnews.ie had generated just under 900 votes, with 46% saying it was 'an arrogant and ill-conceived idea and should be dismissed.' Some 36% felt the idea was 'creative and light-hearted', while 17% were ready to sign up! I admit it. I was one of the latter! I can't honestly see this going anywhere (a formal decision is expected in a few weeks), but it gave me a good laugh on an otherwise dismal Monday. It's just six weeks since the first Certificate of Irish Heritage was issued, and it seems the Government-approved project has struck a chord with the descendents of emigrants form Ireland. "It's been going really well," Karl Elliston, product manager, Certificate of Irish Heritage, told Irish Genealogy News. "Most of the applicants have been from North America, Argentina, and Australia and New Zealand – in that order." I was somewhat surprised that there had been more initial applications from South America than Australasia, but Karl says this was anticipated. "The Irish-Argentinian community is very active, but it's often overlooked as a significant element of the diaspora because their first language is Spanish rather than English. We made sure there was a Spanish certificate option available from the start, as we expected them to be quick off the mark." Mainland Europe has also generated some applications. One of the first received via the website came from Austria! The project is administered by Fexco from offices in Killorglin, Co. Kerry. A small team has been trained in the types of documentation that applicants from different parts of the world are likely to present, and can validate the information provided. 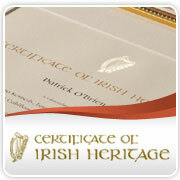 Once approved, a Certificate of Irish Heritage is issued, according to the style chosen by the purchaser. In addition to a choice of document style, applicants also have the option of purchasing their Certificate ready-framed. Obviously, there's a premium attached to this service and Karl says this was carefully researched to ensure the offer represented good quality and value. So far, about one-third of all Certificate orders have included the full framing service. Eligibility for a Certificate of Irish Heritage is open to those not born on the island of Ireland who can show an ancestral connection to a specific Irish ancestor. There is no genealogy service connected with the scheme; applicants have to research and produce their own documentation. Full details of accepted documents, and costs, can be found at www.heritagecertificate.ie. Here are some more events on Irish genealogy and local/social history subjects taking place in the second half of this month. All month: Plantation of Ulster Exhibition, examining this turbulent period of the 17th century, when many Scots and English moved into Ulster. Linen Hall Library, Belfast. Free. All month: Exploring Your Roots Exhibition, looking at the resources available through museums to help your Irish genealogy research. Until January. Mid-Antrim Museum, The Braid, Ballymena. Free. Tuesday 15 November:Researching farming families, with Dr William Roulston. Mid-Antrim Museum, The Braid, Ballymena. 7-8pm. Free. Wednesday 16 November: The Jewish Community in Londonderry, with Phillipa Robinson. Newbuildings and District Archaeological and Historical Society. Community Centre, Newbuildings. 7.30pm. Wednesday 16 November: From Red Cow Lane to Bull Alley Street - Dublin street and place names, with Liam Clare. Dún Laoghaire Borough Historical Society. Kingston Hotel, Adelaide Street, 8pm. Thursday 17 November: Snapshots of Presbyterianism in Cork, with Rev Dr John Faris of the Presbyterian Historical Society. Windsor Presbyterian Church, Belfast, 8pm. Details. Thursday 17 November: Cregagh, by Aidan Campbell. Local author takes a walk down memory lane. Talk, Linen Hall Library, 6pm. Free. Proceeds of the book to be donated to Marie Curie Cancer Care. Friday 18 November: Pictorial Past V, the latest in this popular softback series produced by Dunmanway Historical Society, to be launched by Michael McCarthy, TD, at the GAA Pavilion at 8pm. More about this committed group from West Cork. Tuesday 22 November: The Notary’s Tale, lecture by Caoimhe Whelan, part of the Tales of Medieval Dublin lunchtime lecture series. 1.05pm to 1.45pm. Details. Wednesday 23rd November: Family Tree workshop for beginners, with Gerry Kennedy APGI. Crusheen Community Centre,co Clare. 8.30pm. Details 065-6827172. 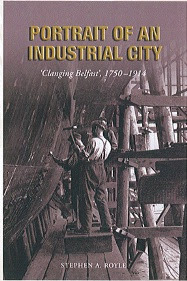 Thursday 24 November: Industrialisation: the third theme of the Exploring Local History series presented by PRONI and the OU Ireland (OUI). Lecture Hall, PRONI, Belfast. 6.30pm. Free, but booking essential at proni@dcalni.gov.uk. Thursday 24 November: Family history on the web, with Mary Bradley. Ballymena Central Library, Pat's Brae. 6.30pm-8.30pm. Free. Tuesday 29 November: Townlands & Placenames, a talk by Dr Kay Muhr. Mid-Antrim Museum, The Braid, Ballymena. 7pm. Free. Tuesday 29 November: PRONI and Conflict Archive on the Internet (CAIN), with Brendan Lynn, Research Associate with CAIN, a web resource (based at the University of Ulster) providing information and source material on the ‘troubles’ and politics in Northern Ireland from 1968 to the present day. Linen Hall, Belfast. 1pm. Places limited. Booking recommended. Free. This talk was originally scheduled for the 30th, but was moved to the 29th to avoid potential strike action. Wednesday 30 November: Policing in 19th-century Tallaght, with Seán Bagnall. Old Dublin Society. Tallaght Library, 6.30pm. A new site, officially launched today by Tommy Graham, the editor of the excellent HistoryIreland magazine, is looking for contributions that showcase local Irish heritage, traditions, beauty and history. Our Irish Heritage (www.ouririshheritage.org) is the main gateway to a network that will, in time, archive the observations, memories, photographs, research and opinions of communities across the island. Its network so far consists of just three communities: Historical Ballinrobe, Louisburgh and Killeen Heritage (both from Mayo) and Oughterard Heritage, from Galway. 'These communities are, in effect, writing their own histories by tapping into local collections, family photographs, reminiscence, local newspapers and publications, church records abd so much more,' explains the site. A rural childhood in the 1950s. It's a well-presented site, with some lovely photos, and well worth bookmarking as it grows. To mark Armistice Weekend, Ancestry is giving free access to its First World War military records databases from today until Sunday 13 November. These records include Attestation Forms, medical and casualty details, conduct, awards and disability statements. The kind of information you are likely to find in them includes name, address, next of kin, age, physical description and occupation. Wonderful stuff for your Irish genealogy research! British Army Service Records 1914-1920: This database contains the surviving records of non-commissioned officers and other ranks who served in WWi and did not re-enlist before WW2. These are the records known as the Burnt Documents, which survived a bomb explosion in 1940. Unfortunately, not all descendents of WW1 soldiers will find records; about 60% of the original 6.5million service records were destroyed. British Army Pension Records 1914-1920: This database contains service records for non-commissioned officers and other ranks who were discharged from the Army and claimed disability pernsions. Medal Rolls Index Cards 1914-1920: This collection contains records for about 4.8million soldiers, about 90% of those who fought. They were created towards the end of the First World War and make up the most complete listing of soldiers involved. Nearly all soldiers who fought outside the British Isles were entitled to receive at least one medal. Free access to these three collections will end at 23:59 on Sunday. You will need to register with Ancestry (just email and name) in order to search the collections. While rooting about on Ancestry you might also like to take a look at the newest military collection: Silver War Badges 1914-1920, which contains more than 800,000 records. The Silver War Badge was introduced in September 1916 to anyone who had been honourably discharged from the Forces on the grounds of ill health. Recipients wore it on civilian clothes, as a clear sign that they had done their duty and were not cowards. This collection is a comprehensive database of men who were injured or ill during the Great War. Details include the soldier's dates of enlistment and discharge, information about why they were discharged, as well as their rank, unit and regimental number. The second Exploring Local History lecture, from PRONI/OU, is now available to view on YouTube. Delivered by Olwen Purdue, the lecture was entitled 'Poverty', and will be of particular interest to those researchers interested in exploring the Board of Guardian sources. The lecture is available in five parts: Part 1. Part 2, Part 3, Part 4, Part 5. Details just received (having missed my first-half round-up of November events) of an interesting evening of talks next Tuesday (15th) that may be of interest to those with a Dublin connection. Half a century at the Stone (Stoneworking in South County Dublin), main lecture with Nicholas Ryan and Philip O’ Neill. The talks will get underway at 8pm at Foxrock Pastoral Centre, behind Foxrock Church, at the junction of Kill Lane & Bray Rd. All welcome. Admission € 4.00. RootsIreland, the online database operated by the Irish Family History Foundation, says it hopes to be releasing more records from County Monaghan early next week. Baptism records for nine Roman Catholic Monaghan parishes (Carrickmacross, Donaghmore, Dummully-Currin, Ematris, Errigal Truagh, Inishkeen, Magheross, Monaghan and Tydavnet) are already available on the site. Whether the 'new' records being added next week will be baptisms from the remaining 20-odd RC parishes in the county, or Church of Ireland records of marriage records, I don't know. IrishGenealogy.ie, the free site funded by the Department of Arts, Heritage and the Gaeltacht, has been threatening to upload Monaghan church records for most of this year but they've never materialised, so it'll be interesting to see what RootsIreland are offering for a fee. An exhibition of poignant photographs launches at Library HQ, Cork County Hall at 1pm today. Shot by internationally-acclaimed photographer David Creedon, a native of Cork, the photos depict the homes abandoned by emigrants in the 1950s and evoke a bygone age. Left to the ravages of time, these interiors, with their clumsy big furniture, brightly decorated walls and ubiquitous religious icons, create scenes that stir memories of granny's house, and tell of the everyday existence, hopes and dreams of those that once lived within. Ghosts of the Faithful Departed from David Creedon Photography on Vimeo. A 168-page book Ghosts of the Faithful Departed, published by The Collins Press, accompanies the exhibition. It's on sale at Eason for €24.99. The exhibition at Cork Library HQ runs until 25 November. If you've been paying attention – either to this blog's news events, to the NLI's blog or to Twitter – you’ll know there's a History Ireland Hedge School tonight at the National Library of Ireland in Kildare Street. The subject 'Where does the truth lie about the 1641 Depositions?' is to be discussed with Mícheál Ó Siochrú, Jane Ohlmeyer and Eamon Darcy of Trinity College and Patrick Fitzgerald of the Ulster American Folk Park. School starts at 7pm and you don't need to register, so just turn up. It's free, and is sure to be an interesting debate about this unique historical resource, which is made up of 8,000 witness statements. If you can't make it, you might like to listen to this 10-minute HistoryJournal podcast of an interview with Micheál Ó Siochrú. It was recorded two years into the three-year project to transcribe and digitise this enormous collection and provides a good overview of its value and content. You'll then want to learn more about the 1641 Depositions, how they might help your Irish genealogy research, and how to start searching the collection. There's a ton of information and full access to the database at Trinity College's dedicated website. You need to register with your email address but you're then free to search by name, by county or by free text. Disruption at National Archives until 24 Dec.
Internal works to extend shelving capacity at the National Archives of Ireland in Bishop Street started today. The disruption will cause some archives to be unavailable until 24 December. Additionally, archives transferred in 2010 will become unavailable for inspection from next Monday until 24 December. A schedule can be consulted in the Reading Room. Here's an unusual story in today's Irish Times about Nicholas Quirke, a man who has documented some 1,750 parochial houses and presbyteries – many of them magnificent mansions – built by the Catholic Church between 1850 and 1920. Brewing or publican ancestors from Cork? If you've got ancestors who worked in the brewing or pub trade in Cork you'll want to get along to University College Cork Library Archives to delve into the Murphy's Brewery Collection. This collection, which officially dates from 1742, is described as an unparalleled source for the social and economic history of Cork from the mid-19th century to the mid-20th. It is made up of legal, administrative and brewing records. The strongest genealogical research potential lies in its records of Tied Houses connected with Murphy's. It also includes publicans' licences, leases and agreements and registers of employees. Access to this sizable collection is available, by appointment only, with the Archives Service to holders of UCC Readers tickets. Non-students can apply for a ticket here. Heineken Ireland, the company which acquired Murphy's Brewery in 1983, donated the collection. It's a really busy month in the family/local history department! Here's news of some events to add to those already posted here. Until 3 December: Exhibition of photographs by D James Galbraith, taken from the NLI collection, capturing aspects of Irish life over a 30-year period. Scariff Public Library, co Clare. Open library hours. Free. Tuesday 8 November: Belfast Central Library and its collections, with Catherine Morrow. Ballyclare & District Historical Society. Schoolroom of the Old Presbyterian Church, Ballyclare. 7.30pm. All welcome. €2 for non-members. Details 028 933 22784. Tuesday 8 November: Tracing your family history, with John Grenham. Fingal Local Studies and Archives, Clonmel House, Forster Way, just off Swords Main Street, co Dublin. Free but booking essential on 8704495. Wednesday 9th November: Family tree research, beginners workshop, with Gerry Kennedy APGI. Crusheen Community Centre, co Clare, at 8.30pm. Detailes: 065-6827172. Wednesday 9 November: Ireland's Armada Heritage, with Cormac Lowth, telling the story of the Spanish armada, its wrecks and recovery of artefacts. Malahide Historical Society. Presbyterian Church Hall, Dublin Road. 8pm. €4. All welcome. Wednesday 9 November: Relaunch of Men of Iron, by the late Michael Enright. Wexdford Foundry Disputes 1890-1911. Wexford Town Library. 7.30pm. Free. Thursday 10 November: Official launch of Dublin City Council Photographic Collection, with exhibition. Rathmines Library, 157, Lower Rathmines Rd, Dublin 6. 3-4.30pm. Free. Booking essential. Friday 11 November: Family history for beginners, with J Magee. Donaghadee Library 2-3pm. Free. Booking advisable. 028 9188 2507. A wonderful selection of historical maps of town and districts in northern counties is now on offer through the North of Ireland Family History Society website. These Alan Godfrey maps are reprints of Old Ordnance Survey Maps and are based on either 25-inch (or 1:2,500) plans, reduced to '15-inch to the Mile', or “Inch to the Mile” maps. Each one predates WW2 (some are considerably older) and show the configuration of streets before bomb damage, after which many streets in Belfast were lost. Each map includes a history of the area, and some include extracts from contemporary directories. The very detailed map covers the busy town (now a city) of Lisburn, with coverage stretching from Longstone Street and Longstone Lane eastwards to Grove Street and Grove House; and from North Circular Road southwards to the Workhouse and Cemetery. Note that the Co Down part of the map is left blank but the map does include the Largymore area east of the Lagan, which was part of Lisburn Urban District Council. The many features include Christ Church Cathedral, Market Square, town centre with all the buildings neatly delineated, Castle Gardens, Millbrook and Beetling Mill, cattle market, Smithfield, St Patrick's RC Church, flax spinning mill, railway with station, Christ Church, handkerchief works, Union Workhouse, Manor House, River Lagan and Lagan Navigation, Largymore, Largymore Factory, Ballymullan area, Lagan Factory, The Island, Roseville etc. On the reverse is a list of private residents taken from a contemporary directory. Is there anyone with ancestors from Lisburn who wouldn't want such a map? There's a wide range of towns included in the 15-inch series – among them are Downpatrick 1901, Larne 1903, North Belfast 1920, Cavan Town 1909, Limvady 1904, Monaghan 1907, etc – and in the Inch to the Mile selection. Among the latter are Coalisland, Dungannon & District 1899 and Belfast & Hillsborough 1901. Most of the maps are priced at just £3.50 (a couple are cheaper, one is slightly more expensive), which strikes me as a bargain. You should also take a look at the other publications offered by the NIFHS; you won't find such detailed, locally-researched books and cds on Amazon, that's for sure. A study of the first Gaeltacht colony was launched last night at Ráth Cairn Library, Baile Átha Buí, Co. Meath, alongside a presentation and slide show of rare photographs of the project's early years. 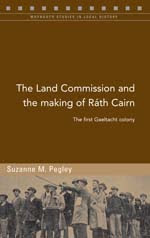 The book, The Land Commission and the making of Ráth Cairn - The first Gaeltacht colony by Suzanne M Pegley tells the story of how, in 1935, the fertile grasslands of the Midlands townland were chosen as the new home for Irish-speaking families from Connemara. In the wake of the immediate post-independent period, the newly formed Irish state was anxious to establish an identity separate from the previous colonial power. Language was deemed one of the ways to achieve this end, and migration the most effective approach. This ground-breaking social engineering project met some opposition but it went ahead anyway. Suzanne Pegley is the co-author of two local histories, Aspects of Leixlip (2001) and Aspects of Lucan (2009) and is presently undertaking her PhD in Geography at NUI Mayoooth. Just received a list of all the new files added to Ireland Genealogy Project Archives in the second half of October. ROSCOMMON Genealogy Archives - Headstones. Irish Genealogy Toolkit is the Research Help partner of IGPArchives. RootsIreland.ie, the Irish Family History Foundation's online research service is reducing its prices during November. Additional new records are promised by RootsIreland 'soon'. These are expected to include a first tranche of records from Wexford. You can tell the clocks have changed - there's a long list of events talking place indoors this month. Here's the line-up for the first half of the month. Tuesday 1 November: Kerry Surnames, with Paul McCotter. Kerry Archaeological & History Society. Tralee Library, 7.30pm. Wednesday 2 November: Plantation of Ulster, an in-depth talk with expert Gordon Lucy. Linen Hall Library. 1pm. Free. Friday 4 November: Recent Excavations at Carrickfergus Castle, a talk by Emily Murray. MBR, Public Reading Room, Waterman House, 5-33 Hill Street, Belfast BT1 2LA. 1-2pm. Free. All welcome. Saturday 5 November: Irish Family History Society's Autumn Meeting, with Noelle Dowling discussing Dublin Diocesan Archives, and George Stewart presenting 'Researching my Stewart Family'. Also IFHS bookstall. Dublin City Library and Archive, 138/144 Pearse Street, Dublin 2. 10am to 1pm. All welcome. ifhs@eircom.net. Monday 7 November: Church and community in the diocese of Elphin, with Brian Shanahan. Royal Society of Antiquaries of Ireland, 63, Merrion Sq South, Dublin. 7.30pm. Tuesday 8 November: Barrack Obama's Benn & Donovan ancestors, with Fiona Fitzsimons. Genealogical Society of Ireland. Dún Laoghaire College of Further Education, Cumberland Street, Dún Laoghaire. 8pm. €3 admission. Wednesday 9 November: History Ireland Hedge School. Where does the truth lie about the 1641 Depositions? Discussion with Mícheál Ó Siochrú, Jane Ohlmeyer, Eamon Darcy and Patrick Fitzgerald. National Library of Ireland, 7pm. All welcome. Booking not required. Thursday 10 November: The Plantation of Ulster: The British Colonisation of the North of Ireland, by Jonathan Bardon. Book launch and talk. Linen Hall Library. 6pm. Free. Thursday 10 November: County Wicklow in 1911, with James Scannell. Enniskerry History Society, Powerscourt Arms Hotel, 8.30pm. €4 admission. Friday 11 November: Rededication of two war memorials, plus ecumenical and military ceremonies, at the O’Connell Tower, Glasnevin Cemetery at 3pm. Saturday 12 November: Dublin Maritime Morning. Three talks: Dublin Port, Past and Present, with Niall Dardis, Dublin's Dockers, with Francis Devine, and A Dublin Shipbuilder/Shipyard, with Pat Sweeney. Dublin City Library and Archive, Pearse Street, Dublin, 10am to 1 p.m Admission free. All welcome. Saturday 12 November: Trace your relatives who fought in World War One. Help with tracing military ancestors, followed by talks, enactments and displays National Museum of Ireland, Collins Barracks, Dublin. 10.30-4pm. Free. Sunday 13 November: Annual Service of Remembrance held at St Patrick’s Cathedral, Dublin, commemmorating all those who have died in war. 3.00pm. Monday 14 November: History of the diocese of Galway, with Peadar O'Dowd. Galway Archaeological & Historical Society. Harbour Hotel, the Docks, Galway. 8pm. Since it's Halloween, here's a treat podcast about gravedigging at Glasnevin. It records a recent interview with Marie-Louise O'Donnell on the Today with Pat Kenny show. Lovely detail about collapsing graves, maggots, the skill of lowering the coffin, and strange behaviour at the graveside. Would have loved more about the priest who stepped backwards and fell in with the recently departed! Some 39 new headstones have been erected at Glasnevin Cemetery on the previously unmarked graves of Irish men and women who served in the Commonwealth forces in World Wars One and Two. Their military and burial records were released yesterday for the first time. This group of headstones brings to 85 the number erected as part of a special project run by Glasnevin Trust and the Commonwealth War Graves Commission (CWGC), which started two years ago. A further 104 graves of servicemen and women have been identified and Glasnevin Trust has launched an appeal for their family members to make contact. Those who are unsure about their family's links to the deceased servicemen are advised to contact the Trust's historian, Shane MacThomais, or use the online genealogical search facility (which contains full burial records of every grave, unmarked or otherwise, at Glasnevin) at www.glasnevintrust.ie/genealogy. This year's commemmoration service at Glasnevin (at 3pm on 11 November) will see the rededication of two war memorials which have been moved near to the cemetery’s main Finglas Road entrance. These memorials record the names of all 208 men and women who died and are buried in Glasnevin as a result of the two wars. Tonight's Find My Past programme on the Yesterday TV channel features three people with connections to the Titanic. They are all connected to the story via Lifeboat 14 which went back to rescue people from the sea as the great ship sank. There is a relative of a lady who was lucky enough to be in a lifeboat to begin with and the relative of a steward who was rescued from the freezing water. The third contributor is related to a Marconi wireless operator who stayed on board doing his job until the water entered the cabin; without the tireless wireless signalling that continued long after the ship hit the iceberg there would have been no survivors at all. The show will be broadcast on Yesterday at 9pm. This channel is on Sky (537), TalkTalk TV (115) and Virgin Media (203) and Freeview (12). Just published by the Royal Irish Academy is Dublin 1911, a lavishly illustrated book edited by Catriona Crowe, who spearheaded the National Archives of Ireland's project to digitise the 1901 and 1911 census. The book begins in January 1911 and works through the year's headline events, month by month. This was a Dublin still unaware of the dramatic decade that lay ahead: the First World War, the Easter Rising, Independence, Civil War. Each chapter starts with contemporary newspaper cuttings before exploring themes such as law and order, education, religion, transport, literary life and migration, among others, in a series of essays (Paul Rouse, Mark Duncan and William Murphy were contributors). 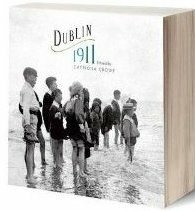 Dublin 1911 is available in all good bookshops or online from www.ria.ie. There's a very special day of talks and events planned for next month that will be of particular interest to anyone who has ancestors who fought in World War One. It's to be held on 12 November at the National Museum of Ireland, Decorative Arts & History, Collins Barracks, Benburb Street, Dublin 7. There will also be a re-enactment depicting how soldiers joined up, demonstrations of the equipment carried and used by them after enlistment, and an advice desk manned by members of the Royal Dublin Fusiliers Association. While there are no certain statistics, it is thought that about 210,000 Irish men fought in World War 1; some 49,400 of them were killed in action and are commemmorated at the Irish National War Memorial Gardens in Islandbridge, Dublin. For more information, contact the National Museum Education Section: Tel +353 1 6777444 of see www.museum.ie. FindMyPast.ie's CEO Brian Donovan was interviewed today on Australian's 4BC Brisbane Morning Show about the launch of the Irish prison registers. He discussed the prevalence of arrest and punishment for drunkeness, which rather suggests the stereotype of the inebriated Irish has some foundation, but adds that tax evasion was also a very commonplace crime in Ireland. It's a brief (4-minutes) interview, and worth listening to here. The Royal College of Surgeons in Ireland (RCSI) and the Irish Genealogy Society have come together to find the Irish DNA code. Officially launched this weekend as the Irish DNA Atlas project, the aim is to analyse genetic variation in the island's population and pick out the genetic differences between people whose ancestors lived in, say, Dungarvan and those who lived in Letterkenny. Inevitably, the selection criterion is tight. Participants have to be able to trace all of their eight great-grandparents to one localised area, preferably to within a clearly defined community of about 30km radius. They will then contribute a DNA sample (taken by a mouth swab – nothing complicated), which will be sequenced and added to the database. As the latter grows, the project team will develop a picture for what constitutes a 'typical' Irish person. The project has two main aims: to further our knowledge of the population history of Ireland and its connections with others in Europe, and to learn more about how genes influence health in Ireland, particularly in relation to heart disease, diabetes and cancer. The scientific aspects of the Irish DNA Atlas project will be directed by Dr Gianpiero Cavalleri of the RCSI. If you wish to take part in the project, and meet the qualification that your 8 great grandparents were born in one locality (even if this straddles a county boundary), you should be aware that participation is on a pro bono basis providing information for the analysis of the samples by the RCSI. There is no payment and there are no costs, other than the return postage of the DNA sample and accompanying questionnaires. You can request an Irish DNA Atlas project pack from IrishDNA@familyhistory.ie. Back To Our Past - Round Two! Despite having had a full and busy Friday at the Back To Our Past show, there were still plenty of exhibitors that I hadn't been able to chat to – mainly because their stands were surrounded by visitors most of the day. So I was back again this morning for Round Two. First stop was Ask About Ireland, where Anne-Marie Dwyer ran me through recent developments on the site. Most Irish family historians know this Library Council site for its searchable access to Griffiths Valuation, but it also holds a huge volume of material on Irish social history and heritage in the Reading Room section. It's seen some widening out recently, with videos on traditional crafts (under History and Heritage) and traditional cooking (under Life and Society), and Irish Talking Books which tell stories and legends in both Irish and English, and in simple and advanced learning styles. The most recent development is the addition of O'Donovan Name Books and Letters which will be uploaded, county by county, over the coming months, to build into an extremely useful resource for those seeking placenames guidance and historical observation at a county level. Developers are also working on the recording of old songs, half in Irish, half in English, and a major indepth article on the island's traditions and customs. 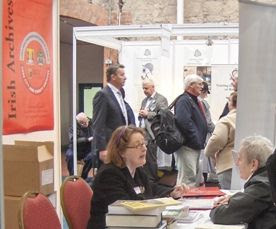 Over on the Irish Genealogical Research Society's stand, I had a brief chat with Chairman Steven Smyrl about how visitors to this year's show differed to those who attended in 2010. "I've recognised some of the people I've spoken to from last year when they were asking quite 'innocent' questions," he said. "You can tell they've done their research in the intervening 12 months. Now, they're coming with much more incisive questions, and it's obvious they've learned how to search the records." Alan Robertson of PRONI was witnessing the same phenomenon. "At the first show visitors had a name and a rough location and were asking what information we might have that could be useful. "This time round, they want much more specific information. They've traced their family back further, too. They're not after bmds. They've shifted back almost a whole century, into the 18th century and early 19th." Sticking with the North, I called in on the Northern Ireland Family History Society where Rosemary Sibbett showed me new publications in the Researching your ancestors in the North of Ireland series. In 2010 the NIFHS published two booklets: A Research Guide and A List of Websites. These have now been joined by Locating Church Records and A Beginners Guide, all of which can be purchased at www.nifhs.org. So, too, can a wonderful series of historic maps, most of them dating from the first decade of the 20th century, and not restricted to Northern Ireland. I love maps rather more than is considered healthy and these black and white, beautifully drawn and detailed maps do nothing to bring my passion within the 'normal' scale. I'm already looking forward to spending (too) many hours learning every inch of my new map collection. Old newspapers come a pretty close second on my list of obsessive interests so I was delighted to hear from Jonathan of www.irishnewsarchive.com of imminent developments. November will see the Donegal News going under the scanner (in a five-month project), followed by the Belfast Newsletter. This will be a mammoth task (the Newsletter is the world's oldest English language general daily paper still in publication, having first been printed in 1737) but Jonathan says it should be digitised and available online by the end of 2012. The Donegal Democrat will then go through the same process. I managed to collar Brian Donovan, CEO of Eneclann and Director of FindMyPast.ie, again to ask him why the Prison Registers collection released yesterday doesn't include records from gaols in the North. It's a simple explanation. "The collection we've released is from the National Archives of Ireland so it covers only the prisons of the Republic. Records for the North are in the care of PRONI and we're in discussion with that institution to see if we can get their records digitised, too." During the course of the day I also had a natter with Julie Phibbs of Irish Roots magazine, had a quick hello with Bob Blatchford whose Irish Family and Local History Handbook was selling like hot cakes, and called in on another family business, www.irishgathering.ie, where the Whelans (Joe, Margaret and son Damien) have established a new site where family historians can upload their trees, and much more besides, all for free. It's been a great couple of days. Highly informative, for sure, but also very satisfying to see just how far Irish genealogy has come in the last few years. What is clear from the success of BTOP is the strength of energy behind the current momentum, which can only mean continued progress. See also my report from Day One for news of more developments. Back To Our Past - what an opening! 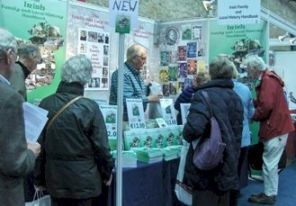 The 3-day Back To Our Past show got off to a lively start at noon when it opened its doors to a good humoured queue waiting outside Hall 4 of the RDS. Within no time at all, the atmosphere inside was buzzing and exhibitors were doing brisk business. Among the busiest were those with a dual offer of immediate access to records and professional know-how. Both Helen Kelly on the Association of Professional Genealogists of Ireland's stand, and Aideen Ireland of the National Archives of Ireland must be hoarse tonight after many hours providing one-to-one advice and direction. 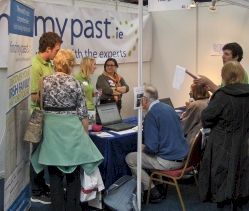 RootsIreland and FindMyPast also seemed swamped throughout most of the day. At the latter, I got a chance to speak to the ever cheerful and enthusiastic Amy Sell, Find My Past's marketing executive, about the imminent launch of 19th- and 20th-century newspapers from the UK and Ireland. 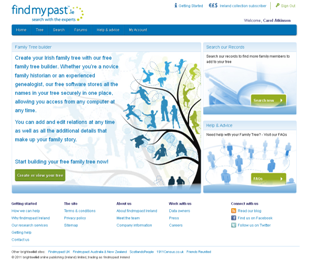 Across the aisle was Eneclann, FMP's joint venture partner in the Irish version of FindMyPast. The .ie company officially launched the Irish Prison Registers collection this morning. Drawing on details contained in the collection's 3.5million records, Eneclann's CEO Brian Donovan gave a fascinating presentation on the subject of Murderers, Rebels and Drunkards: Your ancestors and the Law. He also mentioned that some 15million Petty Sessions Court records would be released by June 2012. Without mentioning any deadlines, Steven Smyrl, Chairman of the Irish Genealogical Research Society (IGRS) also suggested more outstanding records could soon be available online. 'A society such as the IGRS, being a fairly academic society, has a lot of material that other newer societies wouldn't have – in particular we have the terrific contents of our library in London,' he said. These records will be available only to members of the Society so the canniest visitors were taking up the special show membership offers. They could choose from a discounted traditional membership package (Library access, Journal and newsletters) for 20Euros or a special membership package of 60Euros which additionally includes a subscription to Irish Roots Magazine (an independent newsstand publication) and a cd containing all the IGRS Journals back to 1937. Excellent value. There were, of course, many special show offers and promos available today. Among the best was one from History Ireland, a magazine that I criticise only for being bi-monthly rather than monthly. I love this publication. And today I eagerly signed up for a subscription that carried the added bonus of free access to JSTOR's Ireland Collection of 75 journals and 200 monographs. Oh Happiness! While the Prison Registers took the 'launch of the day' crown, there were others of note. These included the first Irish Family and Local History Handbook (224 pages containing 60 articles and a huge listing section of libraries, genealogical centres, family history societies, cemetaries, professional genealogists and more) from Robert Blatchford Publishing, and the Irish DNA Atlas project by the Genealogical Society of Ireland. Another exhibitor that I'll be following up after the show is the Irish Ancestry Research Centre, a company based on the University of Limerick campus and sponsored by American interests. It is already running family history workshops and online certificate courses but also has a walk-in research centre. Me thinks a visit will be in order very soon. It was an excellent opening day. Informative talks, plenty to learn, plenty to discuss, and still more to discover. Which is why I'll be returning tomorrow morning! Best print off another of my vouchers! See also my report from Day Two.